A pound of blackberries and a large Golden Delicious apple are the main ingredients of this filling. Cook the blackberries and diced apple mixed in with semolina flour, 5 tablespoons of sugar and cinnamon in a heavy saucepan for 5 minutes. 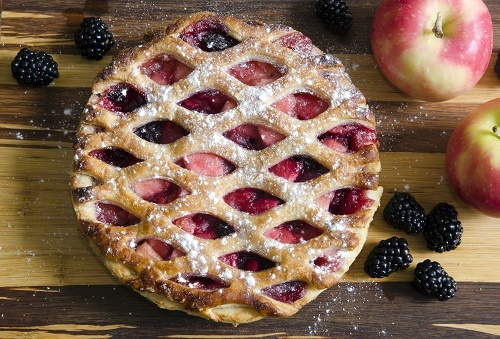 Your blackberry-apple filling is ready for the pie.